"The economic struggles here in Trumbull County—even amid a booming national economy—pose a potential political challenge for Trump, who built much of his 2016 campaign around the idea that he alone could turn the tide on generations of decline across the Rust Belt," wrote the Post. "Yet interviews with residents here this week show that few tie their region's continuing troubles to the president, who often seems able to promise the world yet suffers little damage from supporters when he fails to deliver." 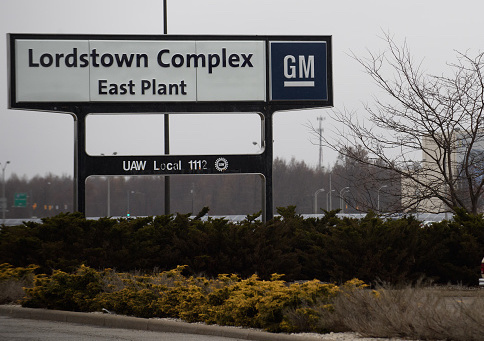 The Times expressed similar frustration at the disconnect between the way "critics" view layoffs and the way workers do. "While critics faulted the president for failing to deliver what he promised, a number of workers were quick to exonerate him," the Times wrote. The Times goes on to write that "critics said Trump seemed oblivious to the plant's struggles despite his promise to workers there." Workers the Times spoke to, however, said they were "heartened" by Trump's decision to directly combat G.M. 's decision to close the factory. A similar sentiment was expressed by Times columnist Paul Krugman, who in a Thursday column complained that Trump's supporters are, like the president, too ignorant to understand economics as well as he does. "For at least some Trump voters, [Make America Great Again] was a promise to restore the kind of economy we had 40 or 50 years ago—an economy that still offered lots of manly jobs in manufacturing and mining," Krugman wrote. "Unfortunately for those who trusted Mr. Art of the Deal, Trump never had any idea how to deliver on that promise." "The real question isn't whether Trump will ever realize that he doesn't know how to MAGA," Krugman wrote. "It's whether and when his supporters will figure it out." This entry was posted in Politics and tagged Donald Trump, General Motors, Media Bias. Bookmark the permalink.